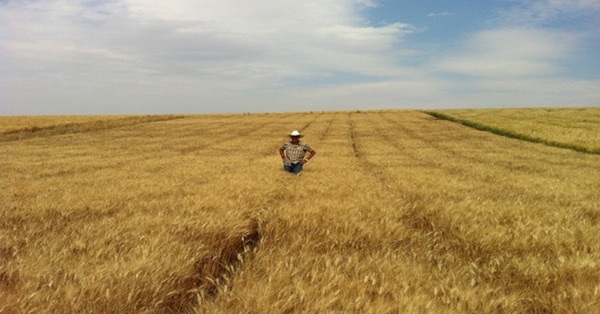 Durum wheat is only about 5% of the total wheat harvest around the world. For those of us who like our pasta, that’s a very important 5%. Different gluten proteins make a durum dough stretchy rather than elastic — perfect for pasta. The kernels are very hard and need dedicated milling machinery, which produces small granules — semolina — rather than flour. That, however, may be about to change. Photo of Soft Svevo from USDA, Pullman, WA. @baker_jamin Yes. You need to look for Eat This Podcast, which is the name of the overall show. Let me know if you have any trouble. @grandcentralbakery Is it the new Soft Svevo? Can you download your podcast on the Apple podcast app? We love our durum flour from @camascountrybakery mill! We use it in our Corn Loaf & others. Wanjiku Guarino liked this article on instagram.com. Gina Tringali liked this article on instagram.com. Nicole Cappuccitti liked this article on instagram.com.